After the ill-fitting O'HARA, UNITED STATES TREASURY, "HARRY O", like THE FUGITIVE a decade earlier, provided the actor with a character he could inhabit with ease and gave him a 'last hurrah' in his work in series television. 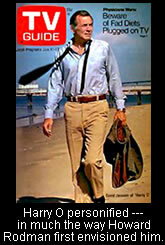 In 1972, Warner Brothers approached writer Howard Rodman to do a TV series based on its hit film "Dirty Harry." Rodman began work on the project, but rejected nearly all vestiges of the Clint Eastwood hit except for the name "Harry." He instead took his inspiration from a rather unlikely source - a short passage in Nathanial West's novel "The Day of the Locust." "There's a page or two describing this guy walking up Sweetzer - that slope between Santa Monica and Sunset Boulevard - on a very hot day. 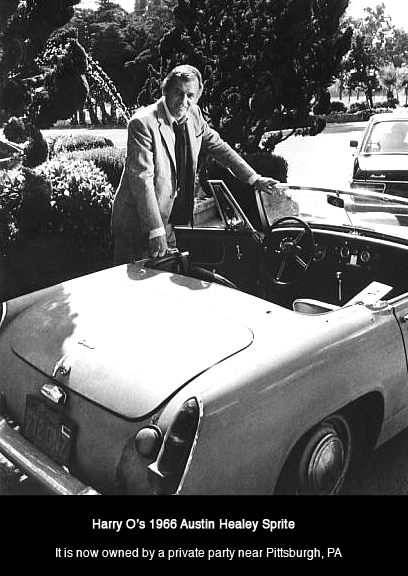 He's a door-to-door salesman going through bungalow courts and he's got his jacket off, his thumb through the hanger loop holding it over his back, and his shirt is all wet --- that is the image I used to create HARRY O. I mean that literally. That's where I started." What evolved was a former police officer with a bullet lodged near his spine who has been forced to seek employment as a private detective to supplement his disability pension. As he is frequently in pain, it also limits his ability to engage in hand-to-hand combat with bad guys. And since his car is in the shop waiting until he can afford a new transmission, he is also forced to pursue his investigations by bus or taxi, or on foot. Thus Harry Orwell was created as an unusual private eye who rarely engaged in fisticuffs or car chases. Unfortunately, network pressure to make the show more exciting caused this unique approach to be minimized for the show's second season. Harry was created as a loner who lives in a beach house and likes to spend his time re-building a boat in his yard. He has an ex-wife but no steady relationships until he moves from San Diego to Santa Monica during season one, after which he has a fair number of gorgeous flight attendants as neighbors, including Farrah Fawcett and Loni Anderson (when she was a brunette). 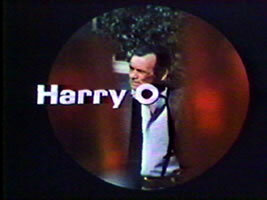 HARRY O had the rare distinction of having filmed 2 pilots before receiving a network go-ahead. The first, SUCH DUST AS DREAMS ARE MADE ON, aired 3/11/73 and was written by Howard Rodman and directed by Jerry Thorpe (the title was inspired from a line in Dashiell Hammett's The Maltese Falcon). The same creative team made the second pilot, SMILE JENNY, YOU'RE DEAD nine months later. This one aired 2/3/74, sold, and episodes went into production in San Diego on July 23, 1974. Click the season number to view details of each episode.